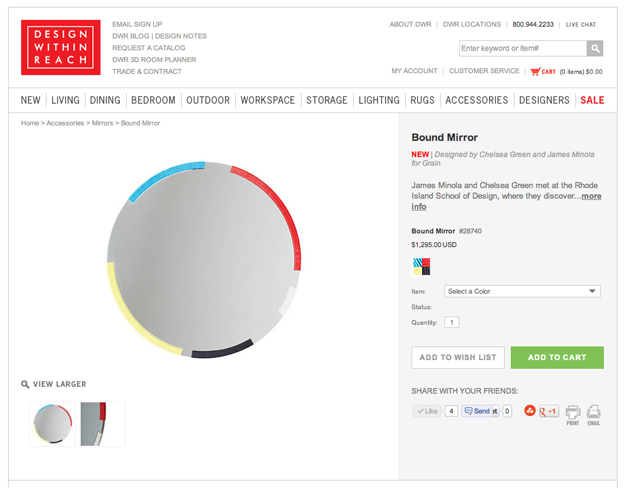 As of today, our Bound Mirror is now available through Design Within Reach! The custom colorway, inspired by their mid-20th century palette, will be available exclusively through DWR online and in select stores. We're admittedly a little thrilled about this collaboration. We never could have guessed, when we haphazardly started this business five years ago, that we would have our work for sale in such good company. Huge thanks to Josh at DWR for his continued interest in Grain and help getting this product to market and to Claire for all her many hours of threading this spring and summer. 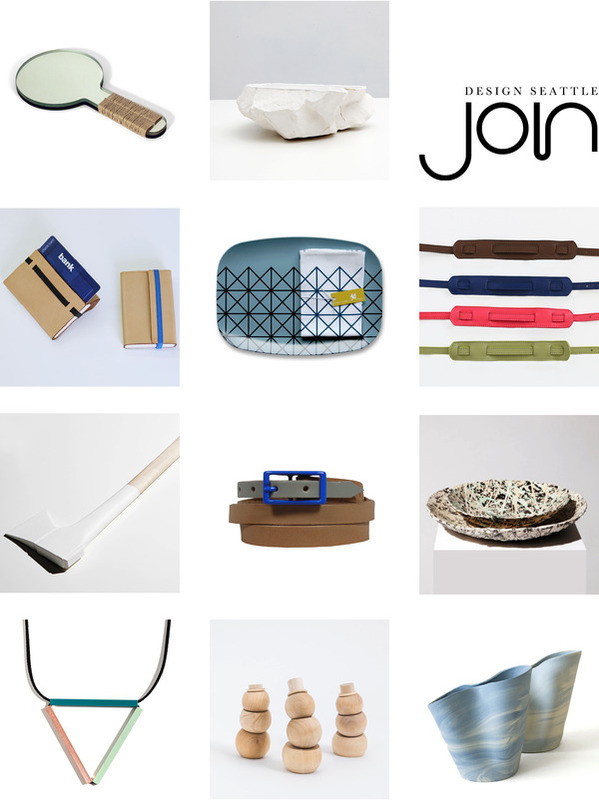 Though we aren't attending ourselves this summer, our small home and personal accessories will be on display in the JOIN booth at the New York International Gift Fair August 19 - 22, 2012. Besides new work from Grain, the booth will feature porcelain axes and fortune cookies from Aleksandra Pollner, marbled ceramic vessels from Fleet Objects, picnic blankets and stackable snowmen from fruitsuper design, copper necklaces from Iacoli & McAllister, color stained stoneware bowls from Ladies & Gentlemen Studio, art pouches and camera straps from Little Paper Planes, totes and straps from Meet Me Here, hand-printed tea towels and trays from Piano Nobile, and key holders and wallets from Studio Gorm. Find JOIN next to the American Design Club at the Jacob K. Javits Center, Lobby Level 2, 9:00 am - 6:00 pm August 19 - 21; 2:00 - 6:00 pm August 22.